I´m sure that I´m not the only one to be curious about the relationship between Isabel and Diego before he departs Teruel to seek his fortune in order to marry his beloved Isabel. It´s not until his emotional return five years later do we even get just a little glimpse of our hero during the festival, Las Bodas de Isabel de Segura. For this reason, Fundacíon Bodas de Isabel created a new festival called La Partida de Diego to show their lives five years prior to the wedding. 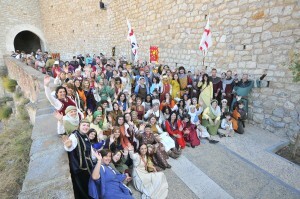 In it´s 4th year, the city once again turns into a medieval 13th century village. To learn more about this emotional 13th century legend Los Amantes de Teruel and the festival Las Bodas de Isabel read my HuffPost blog: Spain´s Capital of Amor Is A Valentine´s Secret. I´ve been fortunate to take images which show the camaraderie and love the actors have for being a part of this festival in October and Las Bodas de Isabel every February. It takes a team of people who work night and day to make these two stunning festivals happen. Just so you know these are not professional actors, just locals who dedicate their time for months preparing for what seems to be professional acting scenes. Directors Marian Pueo, Joaquín Murillo, Alfonso Pablo work tirelessly directing a cast of over 200+. It takes great teamwork and kindness on everyone´s part. One of my favorite scenes in La Partida de Diego is a beautiful and sentimental dance with Isabel as she goes through an emotional disturbance dealing with her sense of loss as Diego departs for battle. With the fear that he may not return, the other women spin a protective web and nurture her at the center. They provide her wisdom and hope for a better future –one that is filled with optimism. The dance spins a sea of energy for all women as they weave in and out of the turbulence of love and loss. Truly spectacular to see, this family of actors continue year after year to celebrate the eternal love of Isabel and Diego —Los Amantes de Teruel. For more information about Teruel, see my blog post: Teruel Is Spain’s City Of Love. 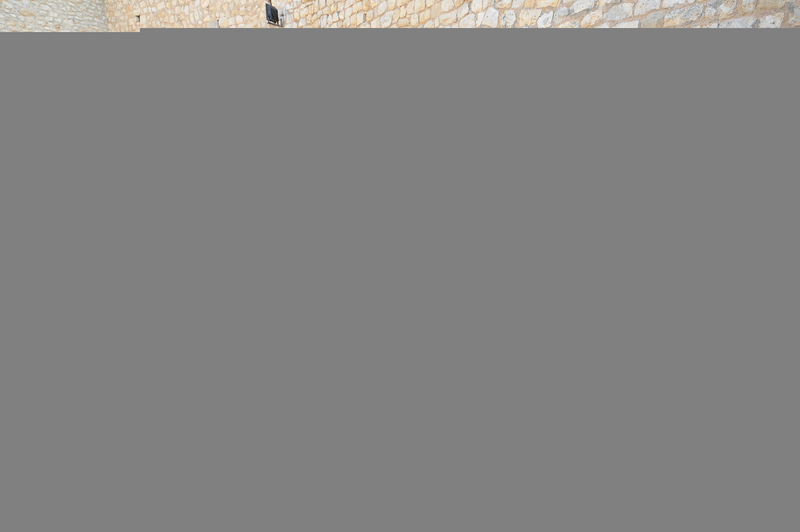 Las Bodas de Isabel de Segura will be held from the 19 to 22 of February 2015. Share the post "The Curious Love of Isabel & Diego"
September 11, 2014 in Fiestas, lorineedleman.com.